As the desert begins to cool off, our thoughts turn to getting out to some of the wonderful national park units in the American southwest. 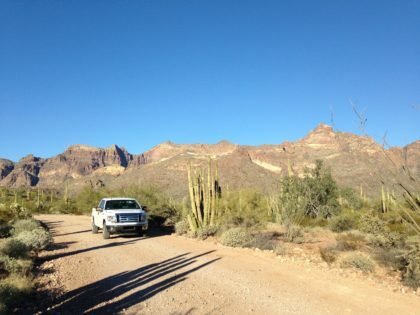 One of our favorite places to visit is Organ Pipe Cactus National Monument in southwestern Arizona. 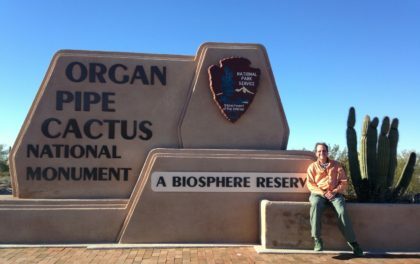 Established in 1937 as a National Monument, this national park unit protects over 500 square miles of the Sonoran desert and one of the only places in the US where you can find organ pipe cactus. 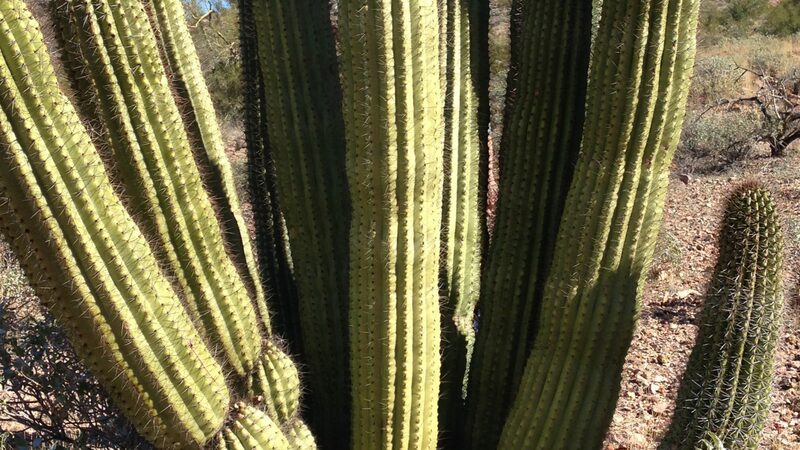 There you will see this rare cactus as well as a couple dozen more species of cactus including saguaro and ocotillo (my favorite). Named an International Biosphere Reserve in 1976, Congress deemed it so important that in 1977 they declared 95% of the park area as a wilderness area, protecting it from any development, especially ranching and mining. As always, we recommend that you start at the Visitor Center. They have exhibits and a movie, plus there are ranger-led activities. Check the schedule of events, and pick up maps for hiking and scenic drives. There are lots of hiking trails in the park, from easy to hard. Only a couple allow leashed pets. You can walk on a short .15 mile trail from the visitor center and a 1 mile trail around the campground perimeter. There are a few longer (~4.5 mile) hikes. One of our favorites is the Dripping Springs Mine trail. It is very scenic and lush with cactus. On many of the trails you will see the remnants of old mines. There has actually been mining in the area up until the 1970’s. Check out the mines, but don’t go in. They are dangerous! The park offers several scenic drives. The roads are graded dirt but they are fine for cars and trucks; probably not good for RVs or trailers. Check with the ranger to find out conditions before you go, especially if there has been any rain. We did the Ajo Mountain Drive. It was gorgeous! We also drove South Puerto Blanco Drive from the visitor center and then continued through the park and back along the Mexican border. That was fun – look right and you can see the homes in Sonoita Mexico. Be sure to take your passport. You can walk across the border from Lukeville and have lunch! Be sure you take water anywhere you go in the park, for you and your car. It is pretty remote and you should always be prepared. Don’t depend on your cell phone. There is very limited service in the park. 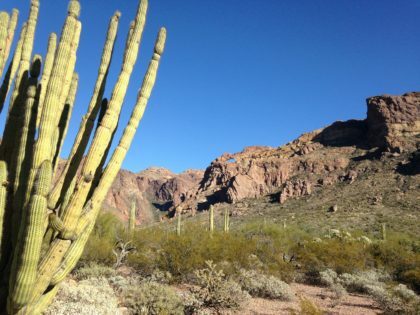 Is it safe to visit Organ Pipe Cactus National Monument? 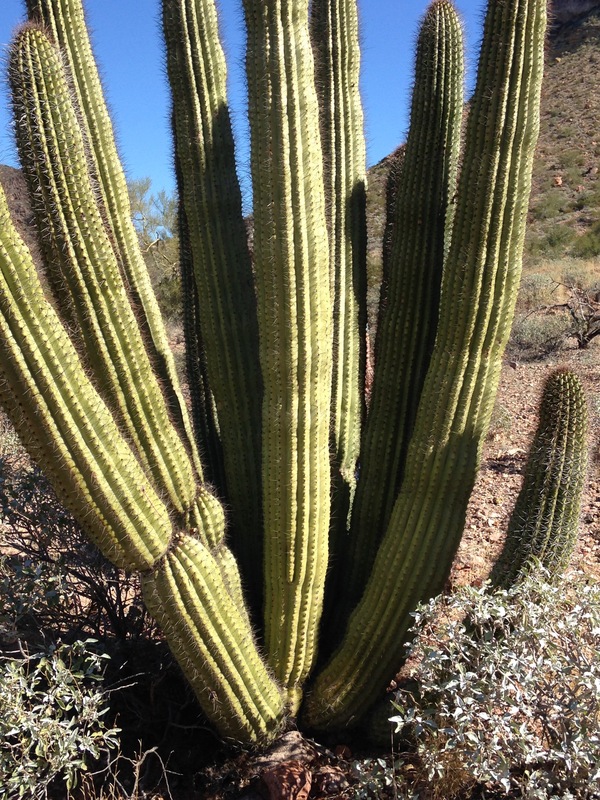 There are many misperceptions about whether or not it is safe to visit Organ Pipe Cactus National Monument. Illegal activity does occur in the park, and like anywhere you go you need to be aware of your surroundings. But as long as you stay on established trails and public roads, there shouldn’t be any problem. Don’t go anywhere before checking with the rangers . They will know current conditions. In all desert parks the temperatures will be more comfortable between October and April, but you won’t see organ pipe cactus in bloom then. They like the heat; blooming between May and July. Their gorgeous blooms open after sunset. 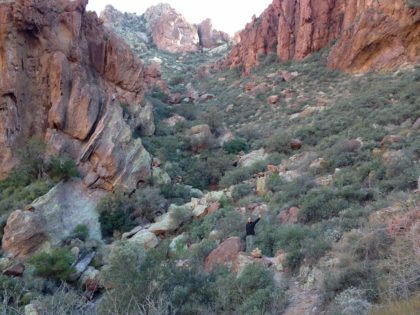 Organ Pipe Cactus National Monument is a day trip from Tucson – only 125 miles – or if you are up to a longer day, it is reachable from Phoenix as well. There aren’t a lot of accommodations near the park, but if you are a camper there is a nice campground with water and showers (no hookups). If you are en route to Rocky Point, you’ll drive right by the visitor center. Make sure you stop by. Organ Pipe Cactus National Monument is truly music in the desert.